A Platform for Exponential Growth Since 2003. ECII provides an opportunity for clinicians to perform “Live surgery” on their patients as well as observe surgical procedures. The ECII houses TV monitors, audio capability, viewing area and large operatory to enhance the educational experience. 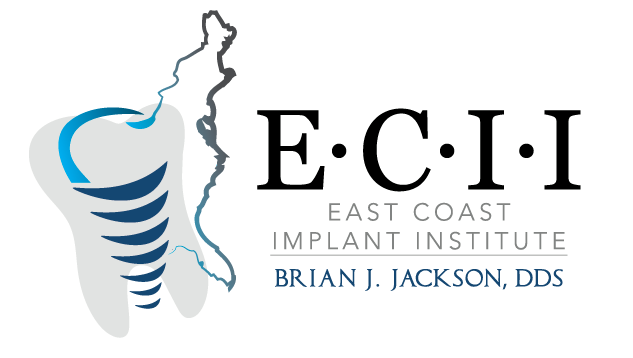 For more information on ECII “Live” call Judy at (315) 724-5141. Below are the courses available through E.C.I.I. Click the course to view full details. The two day immediate implant placement and provisionalization (IIPP) program is designed to educate the dentist in a scientifically proven and clinically adventageous procedure. This intense program, “springboards” the clinician’s ability in streamlining single tooth replacement in as little as two patient visits. The didactic, “hands on” and “live” surgery observation concept of learning reinforces retentions and implementation. The program focuses on a major process that can positively enhance patients’ lives with exponential financial growth for the practitioner. This is accomplished by less patient visits, higher referrals, and ideal esthetic outcomes. IIPP is an evidenced based approach to resolve a non-restorable tooth. It marries extraction, implant surgery, impression and restorative procedures into only 2 appointments with 1 surgery. The process incorporates minimally invasive means coupled with platelet concentrates to enhance healing and positive outcomes. This 1 day program explains the science, protocol and treatment considerations. It is the basis for incorporating IIPP into your practice. As the population ages worldwide, individuals with hopeless teeth or who are completely edentulous will increase. The fixed detachable prosthesis is a predictable implant approach to manage this group of patients. Scientific research has demonstrated high success rates over the long term. Several areas of discussion existconcerning treatment planning, technology, surgery and prosthetics. The 1 day program will address the science, areas of discussion, CBCT protocols and exhibits the clinical aspects through case reports. A hands on component including surgical placement, as well as multi-unit and prosthetic principles. Develop an understanding of patient management through case presentations. The immediate Implant Placement and Provisionalization (IIPP) approach is a scientifically proven method for the management of hopeless teeth. The advanced program focuses on educating, the practionior on more difficult cases. Sinus augmentation, PRP/PRF and multiunit case presentations will be highlighted. The program will have hands-on and a live surgical component to demonstrate the IIPP approach. This 2 day immediate implant placement and provisionalization (IIPP) program is designed to educate the dentist in a scientifically proven and clinically advantageous procedure. This intense program “springboards” theclinician’s ability in streamlining single tooth replacement in as little as 2 patient visits. The didactic, hands on and LIVE surgery observation concept of learning reinforces retention and implementation. The 2 day program focuses on a major process that can positively enhance patient’s lives with exponential financial growth for the practitioner. This is accomplished by less patient visits, higher referrals and ideal esthetics outcomes.